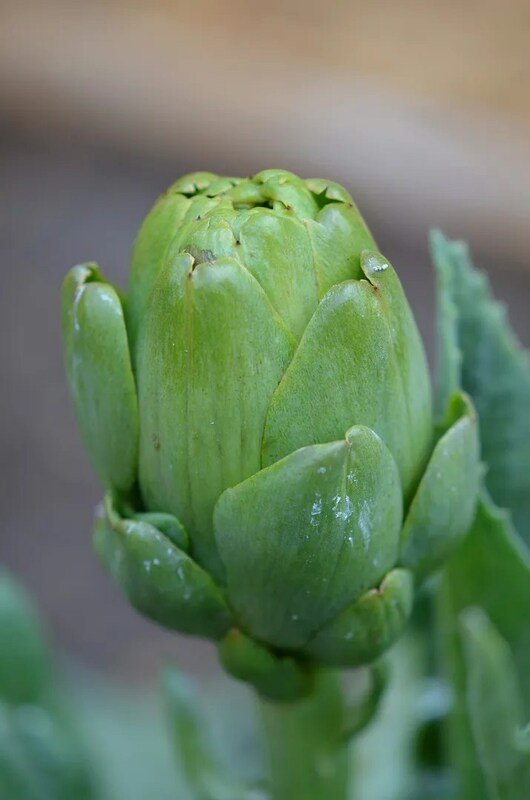 The early artichoke plant is responding to the regular watering from the drip line system; some new side shoots are budding out, a second bud has formed and the first ‘choke is fattening up. In fact, it is already as big as the single one harvested in our initial try a couple years back and that one wasn’t cut until August. I’ve read that most artichoke plants’ first year harvest tends to be a little bitter vs subsequent years. Also, my understanding is that a single plant can provide 18-22 artichokes in a season under ideal conditions. With proper winter care (basically covering with a foot or more of mulch or straw) these should be around for a couple more years. Once again it is Sunday evening and I can barely keep my eyes opened, so this is all for now.